Few things are as enjoyable on a hot summer day as refreshing dip in a swimming pool. 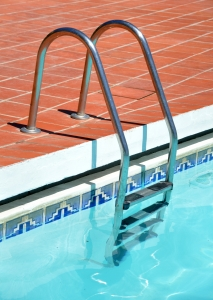 Unfortunately, pools can be a danger zone, especially for young children. Less than two weeks into the month, June has seen three toddlers perish in swimming pool deaths in Sacramento and surrounding areas. Fourteen month old Emily Elizabeth Washington died from an apparent drowning in the backyard pool of a home in Carmichael on June 2. Three days later, on June 5, two year old Jazman Coulter drowned in the pool on the 7400 block of Winnett Way in south Sacramento. This Sunday, three-and-a-half year old Emille Hahn lost her life in the pool at her Folsom home. Several other incidents of near-drowning in the Sacramento region have also been reported this month, with a fourth death occurring in a bathtub in Elk Grove. According to a report in The Sacramento Bee, 129 children died as a result of drowning in Sacramento between 1990 and 2009. Fifty-six percent of the fatalities occurred in residential swimming pools with other locations including rivers, bathtubs, spas, and even a bucket. Christy Adams, a trauma prevention coordinator with the UC Davis Heath System, noted that toddlers are especially susceptible to tumbling into a pool due because the weight of their heads makes them unstable. The children then lack the strength to pull their heads above the water. These factors combine to make drowning the top cause of fatal injury for children between the ages of one and five nationwide. One dangerous misconception is that the sound of a struggling child will alert a caregiver that to a drowning youngster. Drowning, especially when it involves a toddler, can frequently be silent because the child’s arms and legs may not be strong enough to allow the child to break the water’s surface. In addition to reporting on the recent fatalities, The Sacramento Bee also carried important summer safety tips. Of course, vigilant supervision is the number one key to preventing drowning. Toddlers should be watched constantly when near a pool, with an adult within remaining in reach of the child. Swimming lessons are not only fun, they are also an important safety measure that is especially important for children whose homes have backyard pools. While “floaties” and water wings can be a fun addition to water play, they should never be relied upon as flotation devices. Life jackets are required by law in boats but they can also be a smart idea in pool areas. Toys should always be removed from the pool after use as they can draw a child into the water. Alarms can also be installed to sound an alert whenever someone enters the pool water. Gates are another important element of pool safety and latches should be above the reach of a young child. Summer days and swimming pools should help create happy memories, not tragedies. While not every accidental drowning should give rise to a lawsuit, in some cases one might be appropriate. Our Sacramento wrongful death lawyer can help grieving parents decide if they have a legal claim against another homeowner, a landlord, or even the manufacturer of a faulty gate or other items that contributed to the tragedy. Remember, lawsuits not only help victims deal with the economic fall-out of a tragedy (including medical bills, funeral costs, and grief counseling), but also help send a clear policy message that dangerous conditions will not be tolerated.